Zanaco Football Club says is making strides and improvements to ensure that they obtain a spot in the CAF Champions League and Confederation Cup. 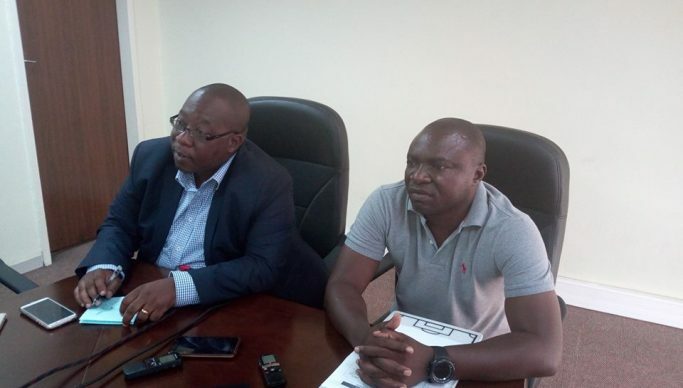 Speaking at a press conference at the club’s secretariat yesterday Zanaco FC General Manager, Marlon Kananda said talks of an alternative stadium would be communicated once the Memorandum of Understanding was finalised. He said Sunset Stadium would be maintained as the home ground for the Bankers. “Our intention is to bounce back in the CAF Champions League/Confederation Cup. Therefore, we want to prepare ourselves and ensure we have the alternative infrastructure needed to compete favourably,” said Kananda. He urged Zanaco fans to keep supporting the team as it boosts the morale in camp. Kananda also stated that the club which recently became a separate entity is open to welcome other sponsors on board and provide advertising for their products or services. “As you know running a football club is not easy and we need to ensure that we remain profitable so that we can sustain ourselves,” he said. He added that security measures had been put in place at the home ground stadium to ensure that fans also contribute to maintenance of the club through gate takings. And Zanaco Head Coach Mumamba Numba said after an analysis on the performance of the team last season the club came to a realization that the defence needed to be improved. “We decided to offload most of the defenders who had come of age so that we bring in younger players who will be able to withstand the pressure,” said Mumamba. He noted that the team has kicked off the season on a good note, and it is his hope that they continued to perform well in order to qualify for the Continental Championship.